Beautiful Redwood Bowl made by club member Shaun Fleming. 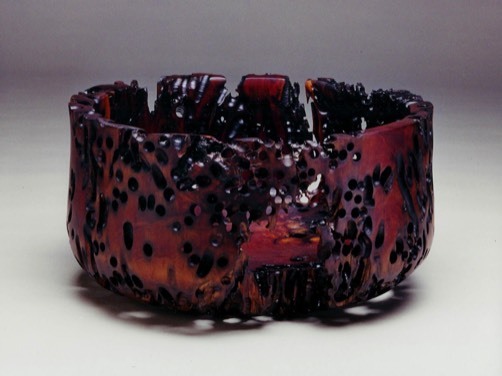 Woodturning is a fun and exciting hobby for people of all ages and skill levels. The number of things you can create on your lathe with a minimal amount of time and money is limited only to your imagination. When woodturning, there are a number of safety considerations that must be kept in mind so that you can have a great time turning while being safe. We hope you will find this information helpful and that you will review it from time to time. Safe and effective use of a wood lathe requires study and knowledge of proper machine operation, tool use and correct turning techniques. It is your responsibility to read and follow all warning labels and owner/operator manuals supplied on or with machinery, chucks, tools and other products. It is your responsibility to become properly educated in all aspects of woodturning prior to turning wood. Always wear a full-face shield at all times. Shop/Safety glasses alone are not sufficient protection from flying debris. Exposure to wood dust can be harmful to your respiratory system. Always use a proper dust mask or air filtration helmet in addition to adequate ventilation. Always wear adequate hearing protection. Long-term exposure to noise can damage hearing. Do not wear loose clothing, gloves, jewelry, or any objects that dangle as they may become entangled in the lathe. Always tie back long hair. Check your person and your surroundings for any other items that may be accidentally entangled. Check your owner/operator manual for proper speed recommendations. If you cannot find recommended speeds, please seek the advice of a professional prior to operating the lathe. Use slower speeds for larger diameter or out of balance work. NEVER start the lathe before checking to make sure the lathe speed setting is correct for the size of work to be turned. If excess vibration or shaking occur, stop the lathe and determine the cause before proceeding. Prior to starting the lathe, rotate the work piece by hand to make sure that it clears the tool rest support and the lathe bed. Also, make certain that all clamping devices are locked and that the tailstock is properly seated against the piece. Be sure the work piece is securely mounted and is free of imperfections or substandard glue joints that may result in the work piece separating or flying apart. Make certain that the belt guard and/or control and motor covers are in place. Check to make sure all tightening handles are properly tightened. Make sure the tool is resting on the tool rest before beginning the cut. Always run the lathe at slow speeds while making roughing cuts. Prior to running the lathe in reverse, make sure that necessary steps are taken to prevent the work piece and/or check from unscrewing itself from the lathe. Always know your capabilities and work within your limits. 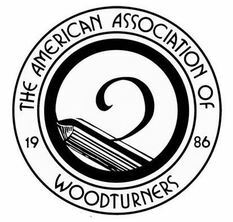 Many techniques and procedures used by professional woodturners may be beyond your skill level. Utilize the tailstock whenever possible. This provides an added level of safety as it often times prevents the work from coming off the lathe during a mishap. Always remove the tool rest before sanding and finishing. This will help prevent injuries to your hands and fingers. Do not overreach! Although many of today’s tools have long blades, this does not mean that they are designed to reach long distances over the rest. Overreaching can cause the blade and/or handle to break. Keep your tools sharp and properly ground. Dull tools are dangerous as they require excessive pressure to make them cut. Do not use tools for purposes they are not intended for. Properly dispose of rags and do not leave finish containers open. Never leave the lathe running unattended. Stay alert, take frequent breaks, and never operate the lathe while under the influence of drugs or alcohol. Use common sense at all times. If unsure at any time, seek the advice of woodturning expert. Safety precautions are not limited to the list above. If you have questions regarding proper lathe operation, tool use, or safety guidelines, please consult an expert.